The Final Table TV show cancelled or renewed for Season 1? When will The Final Table Season 1 start on Netflix? Looking for the The Final Table Season 1 premiere date? We have the very latest The Final Table Season 1 release date news and renewal status. Don’t miss the release of The Final Table: bookmark this page or subscribe below to get free weekly release date alerts! 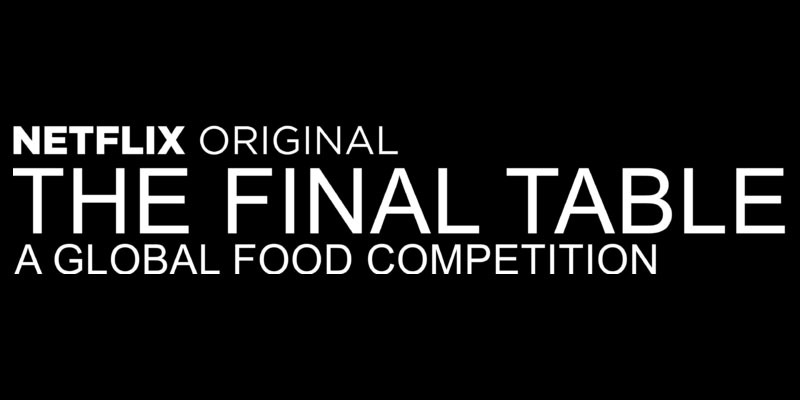 The Final Table is a global culinary competition show featuring the world's most talented chefs fighting for a spot at the elite, Final Table made up of the greatest chefs from around the globe. The series features 12 teams of two chefs from around the world cooking the national dishes of Mexico, Spain, England, Brazil, France, Japan, the U.S., India and Italy. Each episode focuses on a different country and its cuisine, with celebrity ambassadors, food critics and the country's greatest chef eliminating teams until the finale. In that last episode, only one of our competing chefs will win a place at the Final Table, joining the nine legendary culinary icons -- Enrique Olvera (Mexico), Andoni Aduriz (Spain), Clare Smyth (UK), Helena Rizzo (Brazil), Vineet Bhatia (India), Grant Achatz (US), Carlo Cracco (Italy), Yoshihiro Narisawa (Japan) and Anne-Sophie Pic (France). The series will be presented by Andrew Knowlton, James Beard Award-winning Writer and Editor at Large, Bon Appétit. Created and exec produced by Robin Ashbrook & Yasmin Shackleton. The production company is theoldschool.